All BUFFALO RIDGE/VILLAGE CON homes currently listed for sale in Silverthorne as of 04/22/2019 are shown below. You can change the search criteria at any time by pressing the 'Change Search' button below. 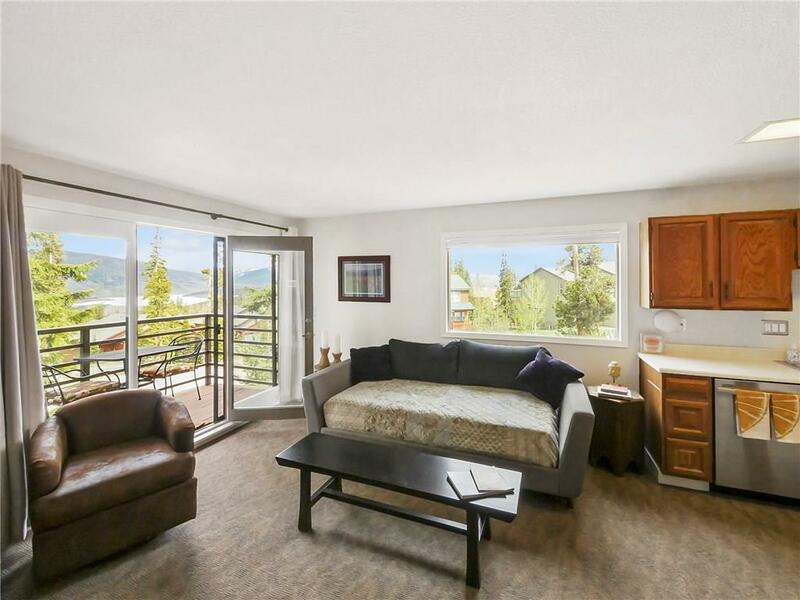 "The VIEW that you will fall in love with is off the deck of this cozy end unit studio. As this property is an end unit, you get additional natural light and southern views. Relax in this mountain retreat on long weekends or call this place home. Take advantage of the just renovated pool and hot tub in the clubhouse after a long day of skiing or cozy up next to the wood burning fire place to read a good book. Utilities are included in HOA dues."